The Golden State is evolving. Downtown areas are receiving multimillion-dollar makeovers. Northern California’s famous wine country is going through a renaissance and newly minted neighborhood food scenes are reinventing tastes. These are the spots changing the way we see and experience La La Land. Who would have ever guessed that the hottest downtown in all of America would be in Los Angeles? 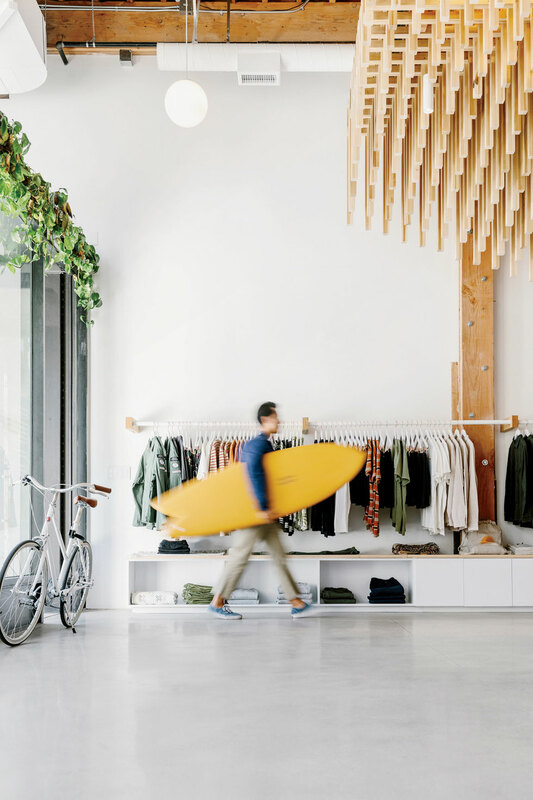 Notorious for its sprawling nature, LA is finally gaining street credibility, and nowhere is this more evident than in Downtown, which is being hailed as the coolest urban neighborhood in the country. Two spots worth visiting are City Market South, a century-old wholesale produce market that’s anchored by Bologna-inspired Italian restaurant Rossoblu, and the Row DTLA – a complex of six buildings constructed between 1917 and 1923 that’s now home to clothing boutiques and hip eateries. 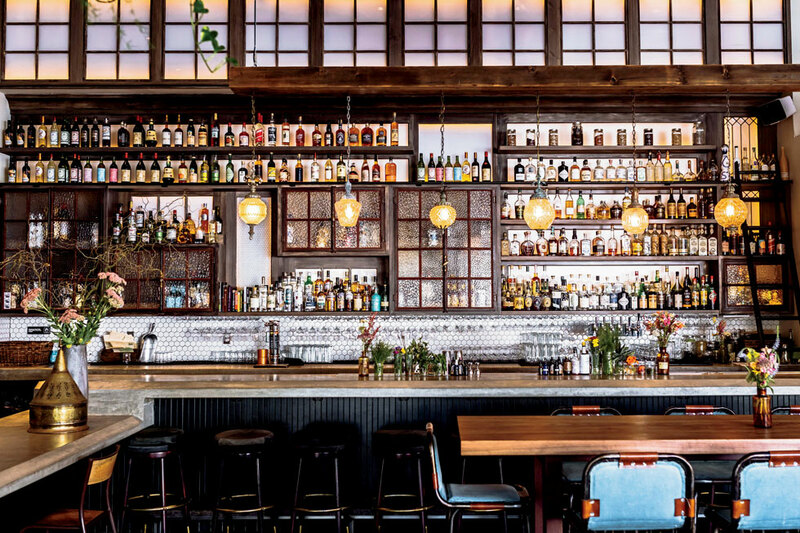 As for the restaurant scene, famed chefs from the rest of the country – and the world – are flocking to Downtown, as evidenced by the arrival of Momofuku empire founder David Chang, who just opened Asian-fusion restaurant Majordomo near Chinatown. As Downtown becomes a 24/7 neighborhood, Century City is moving along a similar path. The area situated just west of Beverly Hills has been enlivened by a recent $1-billion renovation of the Westfield Century City mall, and the revival progresses further with Fairmont Century Plaza, Los Angeles. The hotel is slated to open its doors in 2019 in one of the city’s most iconic structures: the crescent-shaped Century Plaza. The mid-century masterpiece, opened in 1966 after being designed by Minoru Yamasaki will be flanked by two residential towers – promising to make Century City a little less corporate and a lot more liveable. 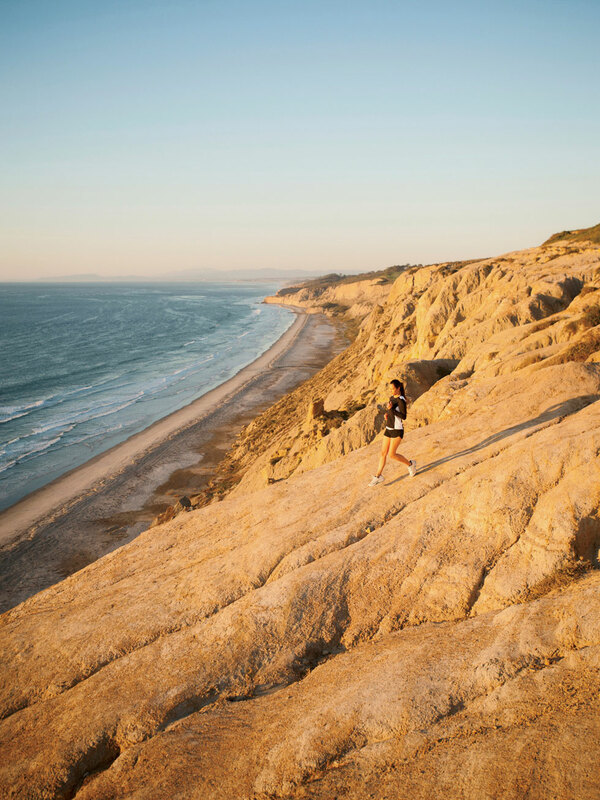 Exercise enthusiasts adore San Diego’s golden coast. San Diego is famous for its fun and energetic beach culture: a land of surfers, paddleboarders, cyclists and skaters. Now this city with a youthful vibe is becoming an exciting foodie destination as well. “We’ve always been a craft beer destination, but we’re an up-and-coming city for food and drink,” says Laura Johnson, owner of You & Yours Distilling Co., a bright, airy, cocktail tasting room. “We’ve seen an influx of celebrity chef-driven concepts in the last three to five years, with places like Juniper & Ivy, Crack Shack, and Herb and Wood, which have helped put San Diego’s dining scene on the map,” she observes. In Hillcrest, recently opened Mexican spot Tacos Libertad isn’t just crave-worthy, it also has social responsibility on the menu: 100 percent of profits go to local charitable causes. For an extra-special meal, the award-winning modern French Addison restaurant at Fairmont Grand Del Mar gets top marks and local praises for complex flavours (a favorite is the coffee-roasted duck) and expert wine pairings. Working off calories in San Diego can be just as much of an event as consuming them. Recently, the city hosted its first Ironman triathlon and the now-annual San Diego Yoga festival. Wanderlust 108 (the world’s only mindful triathlon) returns next year as well. However, in the Imperial Beach district a futuristic outdoor gym is in the works. It’s slated to be built on the sand. Visitors can work out for free and download an app that will create national challenges for gym-goers who want to lunge into the future. Although Sonoma County – which lays claim to having the oldest commercial winery in California – has had its share of adversity, it proves to be amazingly resilient. Many wineries and vineyards came together to fundraise for those affected by wildfires that hit the area in October of 2017, and tourism is rebounding quickly. “Everyone was coming out to support each other and opening their homes and volunteering and donating. We had a slogan during the fires: ‘The love in the air is thicker than the smoke,’” says restaurateur Rosie Wiggins, owner of The Drawing Board in Petaluma. Restoration and growth are evident throughout the county’s rolling hills. Fairmont Sonoma Mission Inn & Spa, which housed first responders during the fires, was undamaged. A local gem is the hotel’s AAA Four Diamond Award and Michelin-designated restaurant Santé, featuring a wine list with over 500 local varieties. So much of Sonoma’s revival has to do with the fact that vineyards in the area are constantly challenging the idea of what a traditional tasting room looks like. Many vineyards, including Jordan Vineyard & Winery, are opening up their fields so that visitors can hike the breathtaking grounds in between tastings. 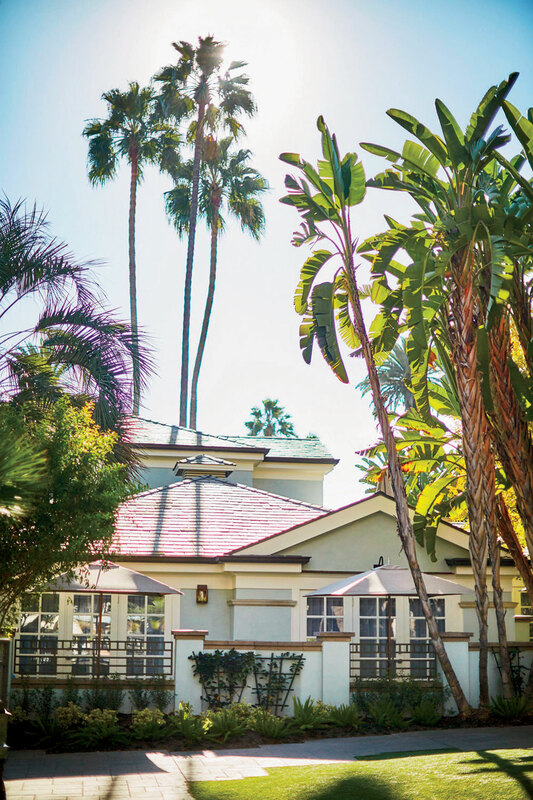 Once known for its Muscle Beach, LA’s Westside is now famously the home of Silicon Beach. The explosive growth of the city’s tech sector at the seaside, with scores of young, wealthy execs and founders now calling the relaxed communities of Venice and Santa Monica home. The latter, where streaming TV company Hulu is headquartered, is more accessible than ever thanks to the arrival in 2016 of LA’s first metro station near the beach. 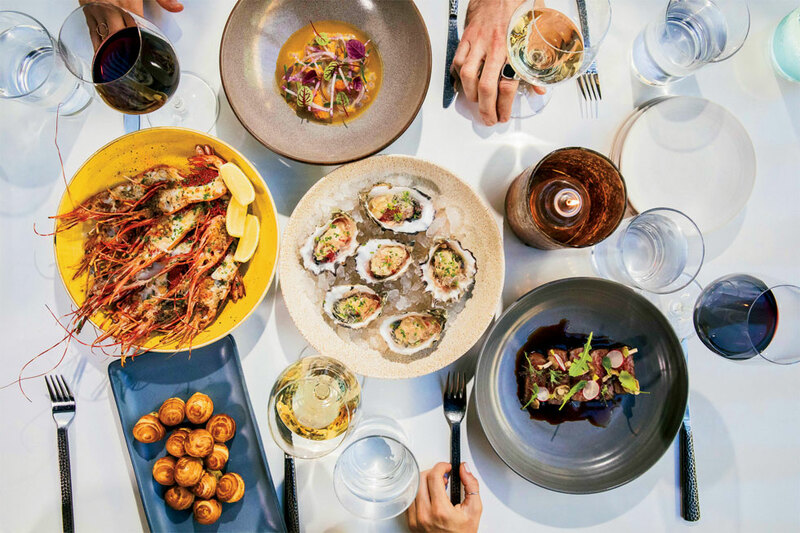 As more visitors flock to its sunny shores, new world-class restaurants are opening, including Uovo, a back-to-basics Italian spot, and Dialogue, an 18-seat tasting-menu restaurant from an alum of Chicago’s Alinea restaurant. Santa Monica’s shopping scene is just as eclectic, and hybrid boutiques (carrying atypical product mixes) rule the roost. On Main Street find a mixed bag of stores like Gwyneth Paltrow-approved Love Adorned, which carries home goods, one-of-a-kind jewelry and aluminum camper firepits. San Francisco is once again ready for its close-up. Although it has had many heydays during different eras (specifically the 1960s through to the 1980s), the spotlight is shining brighter than it ever has on this city. Nowhere is the cultural expansion of the Bay Area on greater display than at the supercharged SFMOMA, which underwent a massive expansion in 2016, tripling its gallery space. 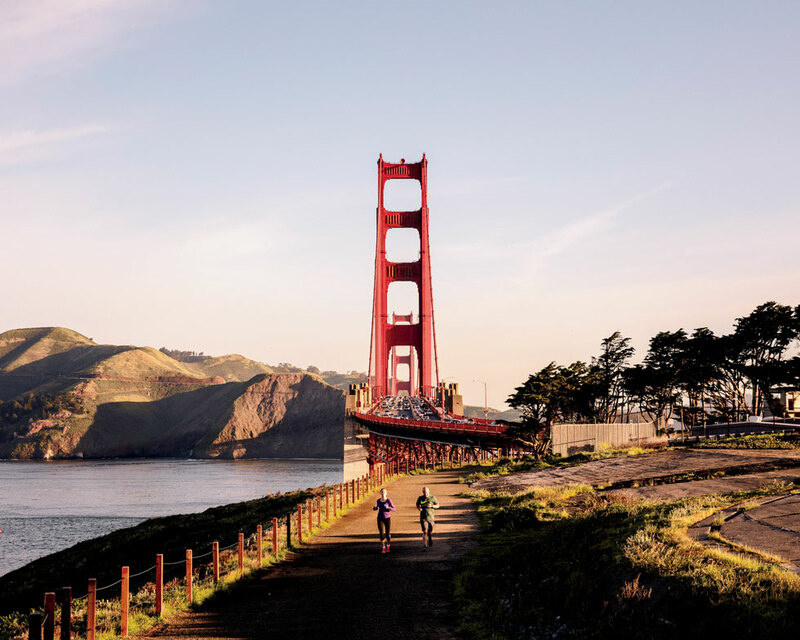 Looking at the San Francisco skyline – which can be viewed in unparalleled ways from the rooftop garden of Fairmont San Francisco — you’ll notice that a handful of neighborhoods are experiencing exciting transformations. The streets are teeming with things to do in the Dogpatch neighbourhood. Head to the newly built Dogpatch Arts Plaza at the foot of 19th Street that holds outdoor exhibitions and concerts. Devoted art groupies explore the area’s 14 galleries and 32 private-artist studios, and are fuelling a newfound restaurant and bar scene in Hayes Valley, just a short walk or cab ride from Davies Symphony Hall, the Nourse Theater and the acclaimed SFJazz Center. Popular recent arrival Robin is a Japanese omakase restaurant that serves sustainable fish. Cocktail fanatics are known to do pre- or post-theatre drinks at the outdoor hangout known as Anina, while bubbly lovers head to Champagne bar The Riddler. These cultural hot spots reflect the city’s evolution since reinvention is clearly the toast of the town.